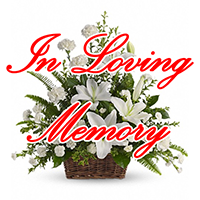 June W. Borowski, 90, of Melbourne, FL passed away on Saturday, January 26, 2019. She was a homemaker and member of The First United Methodist Church of Melbourne. Survivors include her sons Michael, Joseph (Linda) and Stephen (Kamila) Borowski, grandchildren Kelli, Matthew, Nadia and a sister Rita Horne.